Headlies: The Barbarian Doesn’t Recall Starring in Conan Movie - WrestleCrap - The Very Worst of Pro Wrestling! 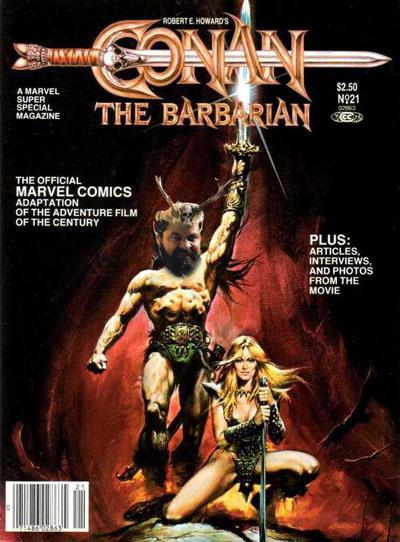 In a recent interview with WCNewz, The Barbarian (one-half of the WWE “The Powers of Pain” tag-team) admits that he has no recollection of starring in, or even being on the set of, the 1982 Conan movie that shares his name. “It’s about my life?” The Barbarian asked WCNewz. “That depends on quite a bit,” our reporter responded. 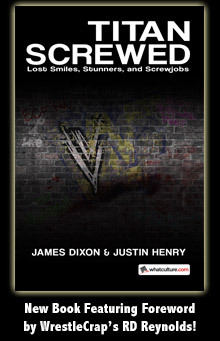 When WCNewz informed The Barbarian that a Remake of the original film had been released in 2011, he suddenly asked us to leave, citing the need to call his manager, Bobby “The Brain” Heenan, so he could find out when his royalty checks would be arriving. 3 Responses to "Headlies: The Barbarian Doesn’t Recall Starring in Conan Movie"
You can thank the antlers. I’ve got “The Death of WCW” on the brain, so this immediately made me think of a Conan (O’Brien) / Barbarian tag team. Though I’m not sure who’d go for that more: Bischoff has already won a “Get a Talk Show Host in the Ring” match by hiring Jay Leno…but Conan O’Brien is freakishly tall (at least for a talk show host), so he’s eligible to have his first appearance main-event a WWE PPV. The 50 Crappiest Moments in WrestleMania History!